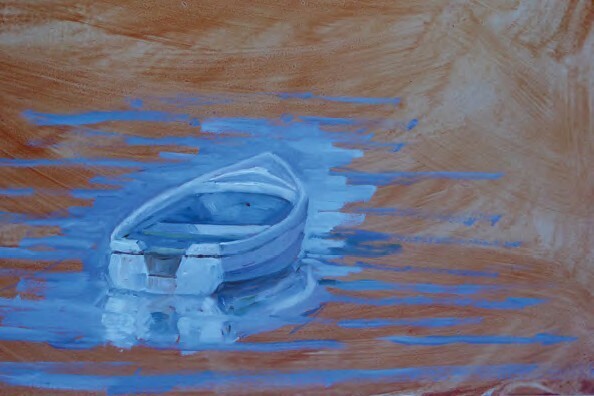 Dinghy Study , oil on board, 71⁄2x81⁄2in. (19x22cm). The shape of a boat is usually defined by both the light catching on the top edge (gunwale) and the shape of the waterline. This study (above) was initially built up of simple blocks of shapes and colour, the white highlights only added once I was satisfied that the shape was roughly correct. Painting this stern view has highlighted the hard edges of the planking, light against dark, which make defining the shape of the hull much simpler. 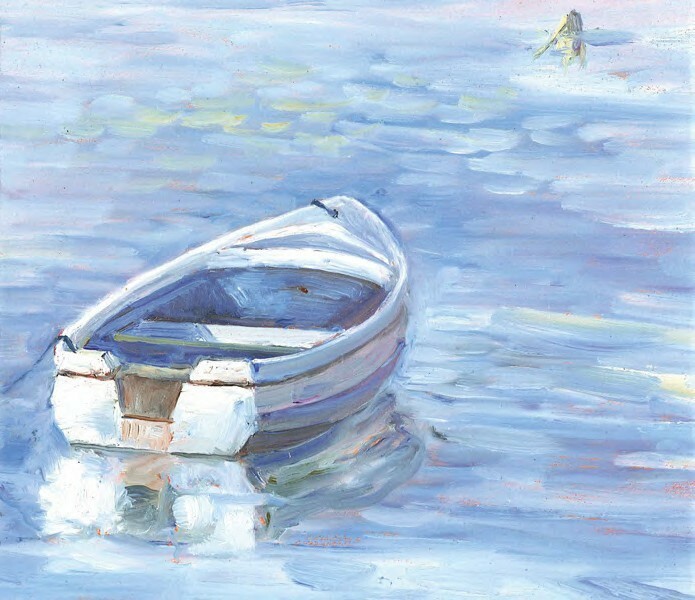 That said, whilst looking reasonably boat-like, it may in fact be nothing like the boat that I was painting and no one will ever know! There’s much more latitude to be had with this subject than many might imagine. 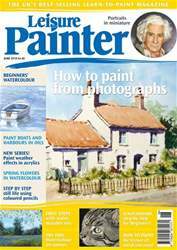 Welcome to the June issue of Leisure Painter. Aimed at beginner and amateur painters, you will find everything from watercolour flowers, animals and landscapes to introductions to water-mixable oils and miniature portraits, coloured pencil techniques for drawing a still life with just four colours, drawing ideas, step-by-step acrylics and oils, and a scratchboard demonstration of a cat. Find out about the latest exhibitions, books and art club activities and join in our competitions to win fantastic prizes.